JUGS Field General™ throws accurately up to 60 yards, allowing you to hit your receivers in stride, running any route in your playbook. Players see a week's worth of passes in a fifteen-minute drill session. 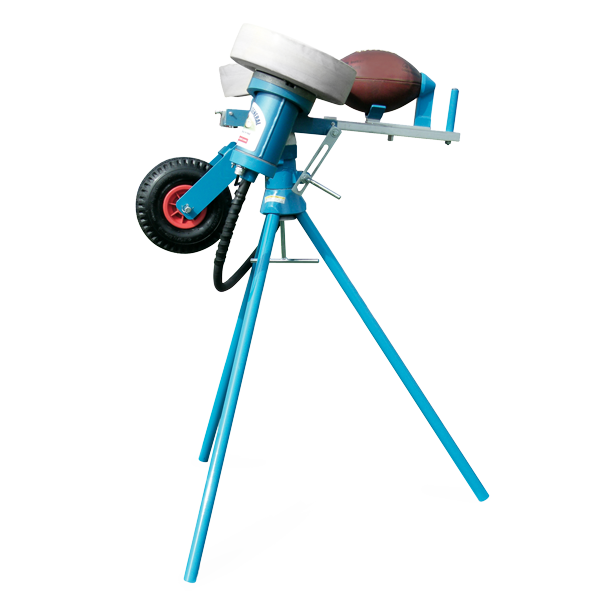 The JUGS Field General™ simulates punts with a hang time of over 5 seconds, allowing you to do drills that include both punt and punt return teams. The JUGS Field General™ throws 5-60 yard passes and swivels 360 degrees to accommodate passing drills in every direction. The JUGS Field General™ is also great for long-snapping and punting. Quickly adjust speed settings using the dial. 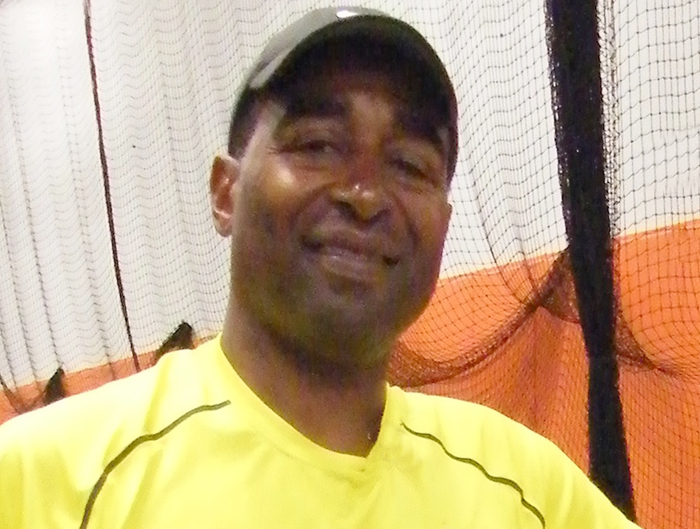 Receivers and Running Backs need consistent practice catching the football. With the Field General™, these players see a week's worth of passes in a fifteen-minute drill session. Simply put, more passes caught in practice means more receptions in games. Defensive players can be given practice on a variety of reaction and zone-coverage drills in a fifteen-minute session without taking your quarterbacks away from their work with the offense. 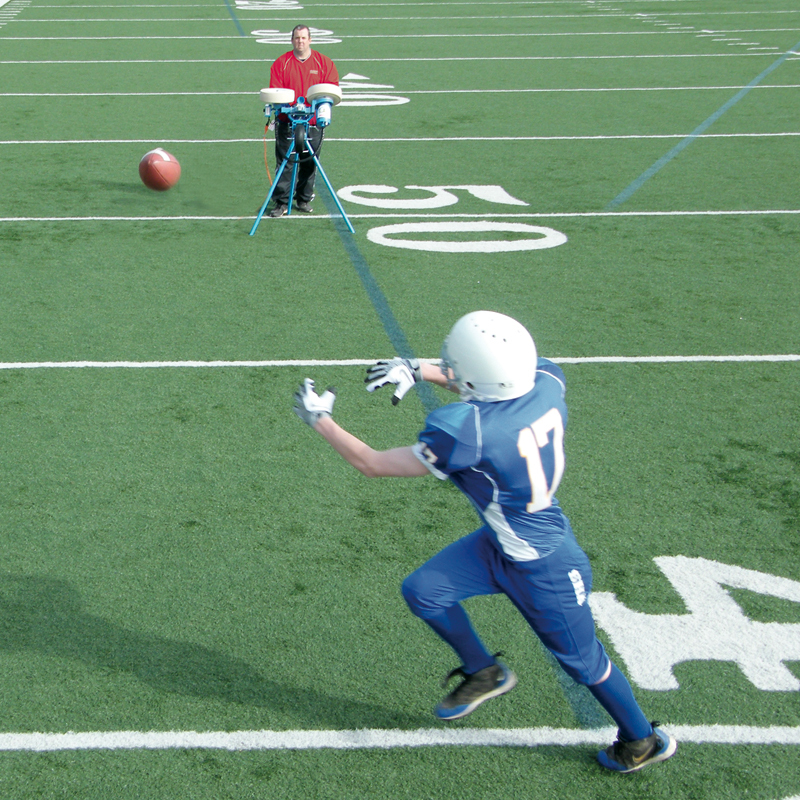 With hang times of up to 5 seconds, the Field General can accurately "kick" high-lofting punts directly at one player or another, or at any point in between. 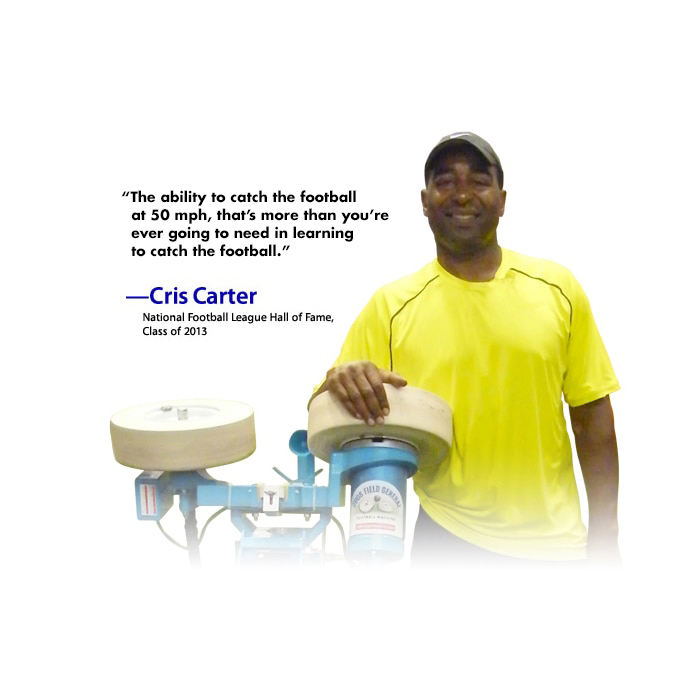 You can save 30 minutes of practice time each day because, with the Field General™, you will eliminate shanked punts. Remember, crisper special team drills will produce the game results you want. Use the Field General™ for more effective and enjoyable conditioning drills. All players like catching passes— they'll love sprinting after 60 yard bombs thrown from the Field General™.